On Friday we told you about a Vine video sent out by MetroPCS teasing the launch of the Samsung Galaxy S4 for the pre-paid network's customers. As we noted the other day, the version of Samsung's Android flagship that most MetroPCS customers will be able to buy offers CDMA and LTE connectivity. But in 8 markets, the version of the Samsung Galaxy S4 that will be available will not hook up to MetroPCS' CDMS pipeline and will instead offer GSM/HSPA+/LTE connectivity. The reason for that is to help speed along the migration of MetroPCS customers to T-Mobile's network. Ever since T-Mobile closed on its acquisition of MetroPCS, essentially combining the nation's fourth and fifth largest carriers, T-Mobile has discussed migration. It wants to move MetroPCS customers to its own GSM pipeline. With the Samsung Galaxy S4, customers in Atlanta; Boston; Dallas-Fort Worth; Hartford, Conn.; Las Vegas; New York City; Philadelphia and San Francisco will be buying a version of the phone that will run on T-Mobile's network. Expanded from an initial three city pilot program, MetroPCS customers in those markets have 5 phones to choose from that are designed for the parent operator's network. This Wednesday, T-Mobile has a media event in New York City and is expected to announce that it will no longer sell new CDMA powered handsets for MetroPCS customers although it will support them until the end of 2015. But since 60% of MetroPCS customers upgrade to a new phone every year, it won't be too long until CDMA is no longer needed for the pre-paid carrier,except for the few malcontents that will stick with their old CDMA handset just to be different. And for those customers, T-Mobile can keep a small amount of spectrum on hand. 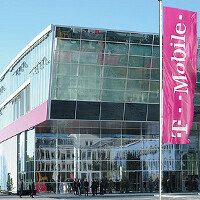 T-Mobile's plan is to turn MetroPCS into a national brand using T-Mobile nationwide GSM network. The faster that the migration is complete, the faster this can happen. Right now, T-Mobile is ahead of schedule. The reason why 60% of the user update their phones each year is because MetroPCS pushes crappy low-end android devices. Even I woud upgrade if I had bought their bargain basement phones from the past few years. With the CDMA network being shut down over the next 2 years, it might be a bad time to buy a $25 device ($99 for LTE devices) just 1 year or 2 year of service. With customers jumping ship to HSPA+, the CDMA network might not be so congested. Food for thought. Alan F What an irresponsible writer. Only cause you disagree with people in their decisions you felt it necessary to stoop low as to name calling. Oh cool! !...so i'm not the only one who hates this phagot .